Motivation is a powerful, yet tricky beast. Sometimes it is really easy to get motivated, and you find yourself wrapped up in a whirlwind of excitement. Other times, it is nearly impossible to figure out how to motivate yourself and you’re trapped in a death spiral of procrastination. This page contains the best ideas and most useful research on how to get and stay motivated. This isn’t going to be some rah-rah, pumped-up motivational speech. (That’s not my style.) Instead, we’re going to break down the science behind how to get motivated in the first place and how to stay motivated for the long-run. Whether you’re trying to figure out how to motivate yourself or how to motivate a team, this page should cover everything you need to know. You can click the links below to jump to a particular section or simply scroll down to read everything. At the end of this page, you’ll find a complete list of all the articles I have written on motivation. Scientists define motivation as your general willingness to do something. It is the set of psychological forces that compel you to take action. That’s nice and all, but I think we can come up with a more useful definition of motivation. In other words, at some point, it is easier to change than to stay the same. It is easier to take action and feel insecure at the gym than to sit still and experience self-loathing on the couch. It is easier to feel awkward while making the sales call than to feel disappointed about your dwindling bank account. One of the most surprising things about motivation is that it often comes after starting a new behavior, not before. We have this common misconception that motivation arrives as a result of passively consuming a motivational video or reading an inspirational book. However, active inspiration can be a far more powerful motivator. I like to refer to this effect as the Physics of Productivity because this is basically Newton’s First Law applied to habit formation: Objects in motion tend to stay in motion. Once a task has begun, it is easier to continue moving it forward. You don’t need much motivation once you’ve started a behavior. Nearly all of the friction in a task is at the beginning. After you start, progress occurs more naturally. In other words, it is often easier to finish a task than it was to start it in the first place. Thus, one of the keys to getting motivated is to make it easy to start. Before we talk about how to get started, let’s pause for just a second. If you’re enjoying this article on motivation, then you’ll probably find my other writing on performance and human behavior useful. Each week, I share self-improvement tips based on proven scientific research through my free email newsletter. To join now, click here. Many people struggle to find the motivation they need to achieve the goals they want because they are wasting too much time and energy on other parts of the process. If you want to make it easy to find motivation and get started, then it helps to automate the early stages of your behavior. During a conversation about writing, my friend Sarah Peck looked at me and said, “A lot of people never get around to writing because they are always wondering when they are going to write next.” You could say the same thing about working out, starting a business, creating art, and building most habits. If your business doesn’t have a system for marketing, then you’ll show up at work crossing your fingers that you’ll find a way to get the word out (in addition to everything else you have to do). 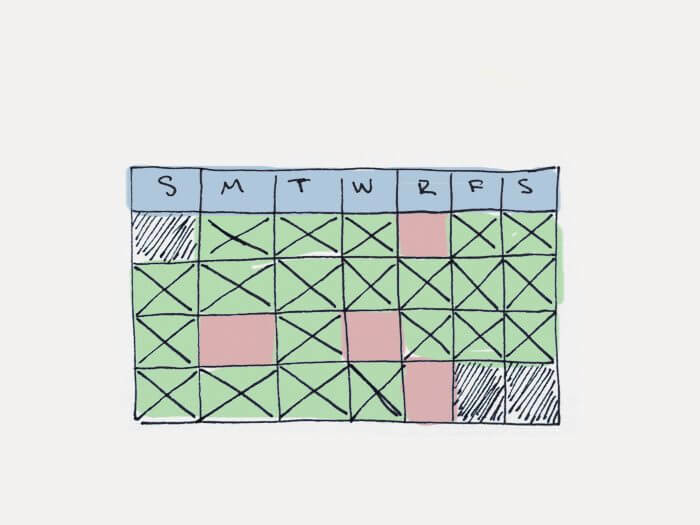 Setting a schedule for yourself seems simple, but it puts your decision-making on autopilot by giving your goals a time and a place to live. It makes it more likely that you will follow through regardless of your motivation levels. And there are plenty of research studies on willpower and motivation to back up that statement. Stop waiting for motivation or inspiration to strike you and set a schedule for your habits. This is the difference between professionals and amateurs. Professionals set a schedule and stick to it. Amateurs wait until they feel inspired or motivated. How do some of the most prolific artists in the world motivate themselves? They don’t merely set schedules, they build rituals. I begin each day of my life with a ritual; I wake up at 5:30 A.M., put on my workout clothes, my leg warmers, my sweatshirts, and my hat. I walk outside my Manhattan home, hail a taxi, and tell the driver to take me to the Pumping Iron gym at 91st street and First Avenue, where I workout for two hours. The ritual is not the stretching and weight training I put my body through each morning at the gym; the ritual is the cab. The moment I tell the driver where to go I have completed the ritual. 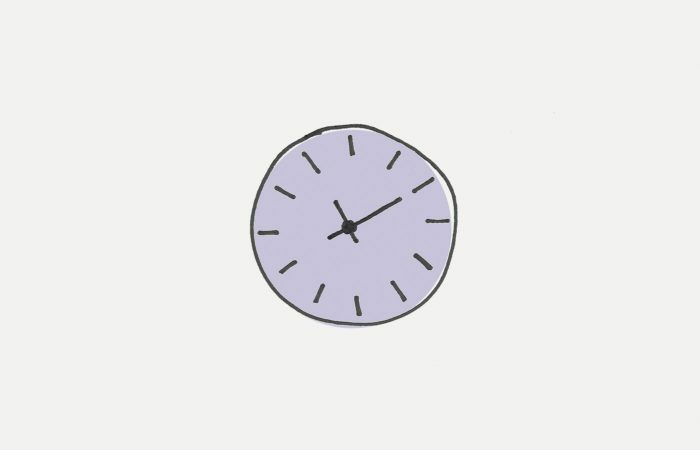 It’s a simple act, but doing it the same way each morning habitualizes it — makes it repeatable, easy to do. It reduces the chance that I would skip it or do it differently. 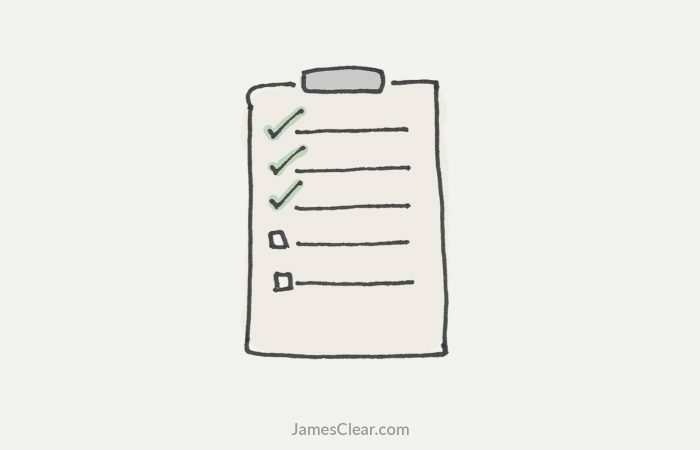 It is one more item in my arsenal of routines, and one less thing to think about. Many other famous creatives have rituals too. In his popular book Daily Rituals: How Artists Work, author Mason Currey notes that many of the world’s great artists follow a consistent schedule. Maya Angelou rented a local hotel room and went there to write. She arrived at 6:30 AM, wrote until 2 PM, and then went home to do some editing. She never slept at the hotel. Exercise more consistently: Use the same warm up routine in the gym. Become more creative: Follow a creative ritual before you start writing or painting or singing. Start each day stress-free: Create a five-minute morning meditation ritual. Sleep better: Follow a “power down” routine before bed. The power of a ritual, or what I like to call a pre-game routine, is that it provides a mindless way to initiate your behavior. It makes starting your habits easier and that means following through on a consistent basis is easier. The key to any good ritual is that it removes the need to make a decision: What should I do first? When should I do this? How should I do this? Most people never get moving because they can’t decide how to get started. You want starting a behavior to be easy and automatic so you have the strength to finish it when it becomes difficult and challenging. There are three simple steps you can take to build better rituals and make motivation a habit. Step 1: A good pre–game routine starts by being so easy that you can’t say no to it. You shouldn’t need motivation to start your pre–game routine. For example, my writing routine starts by getting a glass of water. My weightlifting routine starts by putting on my lifting shoes. These tasks are so easy, I can’t say no to them. The most important part of any task is starting. If you can’t get motivated in the beginning, then you’ll find that motivation often comes after starting. That’s why your pre–game routine needs to be incredibly easy to start. For more about the importance of getting started, read this. Step 2: Your routine should get you moving toward the end goal. A lack of mental motivation is often linked to a lack of physical movement. Just imagine your physical state when you’re feeling depressed, bored, or unmotivated. You’re not moving very much. Maybe you’re slumped over like a blob, slowly melting into the couch. The opposite is also true. If you’re physically moving and engaged, then it’s far more likely that you’ll feel mentally engaged and energized. For example, it’s almost impossible to not feel vibrant, awake, and energized when you’re dancing. While your routine should be as easy as possible to start, it should gradually transition into more and more physical movement. Your mind and your motivation will follow your physical movement. It is worth noting that physical movement doesn’t have to mean exercise. For example, if your goal is to write, then your routine should bring you closer to the physical act of writing. Step 3: You need to follow the same pattern every single time. Eventually, this routine becomes so tied to your performance that by simply doing the routine, you are pulled into a mental state that is primed to perform. You don’t need to know how to find motivation, you just need to start your routine. 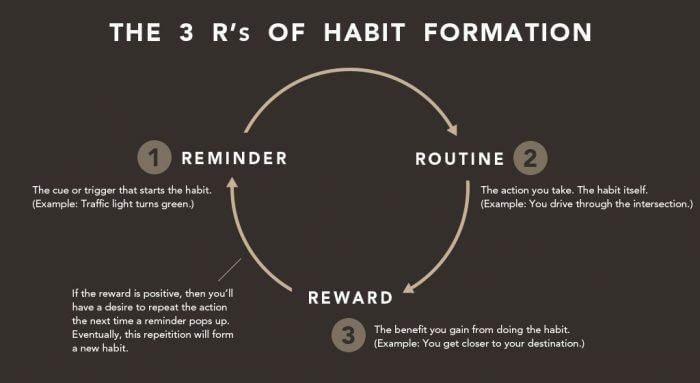 If you remember the article on the 3 R’s of Habit Change, then you may realize that your pre–game routine is basically creating a “reminder” for yourself. Your pre–game routine is the trigger that kickstarts your habit, even if you’re not motivated to do it. This is important because when you don’t feel motivated, it’s often too much work to figure out what you should do next. When faced with another decision, you will often decide to just quit. However, the pre–game routine solves that problem because you know exactly what to do next. There’s no debating or decision making. Lack of motivation doesn’t matter. You just follow the pattern. We have covered some strategies for making it easier to get motivated and start a task. What about maintaining motivation over the long-run? How can you stay motivated for good? Imagine you are playing tennis. If you try to play a serious match against a four-year-old, you will quickly become bored. The match is too easy. On the opposite end of the spectrum, if you try to play a serious match against a professional tennis player like Roger Federer or Serena Williams, you will find yourself demotivated for a different reason. The match is too difficult. Compare these experiences to playing tennis against someone who is your equal. As the game progresses, you win a few points and you lose a few points. You have a chance of winning the match, but only if you really try. Your focus narrows, distractions fade away, and you find yourself fully invested in the task at hand. The challenge you are facing is “just manageable.” Victory is not guaranteed, but it is possible. Tasks like these, science has found, are the most likely to keep us motivated in the long term. Human beings love challenges, but only if they are within the optimal zone of difficulty. Tasks that are significantly below your current abilities are boring. Tasks that are significantly beyond your current abilities are discouraging. But tasks that are right on the border of success and failure are incredibly motivating to our human brains. We want nothing more than to master a skill just beyond our current horizon. We can call this phenomenon The Goldilocks Rule. The Goldilocks Rule states that humans experience peak motivation when working on tasks that are right on the edge of their current abilities. Not too hard. Not too easy. Just right. Working on tasks that adhere to the Goldilocks Rule is one of the keys to maintaining long-term motivation. If you find yourself feeling unmotivated to work on a task, it is often because it has drifted into an area of boredom or been shoved into an area of great difficulty. You need to find a way to pull your tasks back to the border of your abilities where you feel challenged, but capable. This wonderful blend of happiness and peak performance is sometimes referred to as flow. Flow is what athletes and performers experience when they are “in the zone.” Flow is the mental state you experience when you are so focused on the task at hand that the rest of the world fades away. 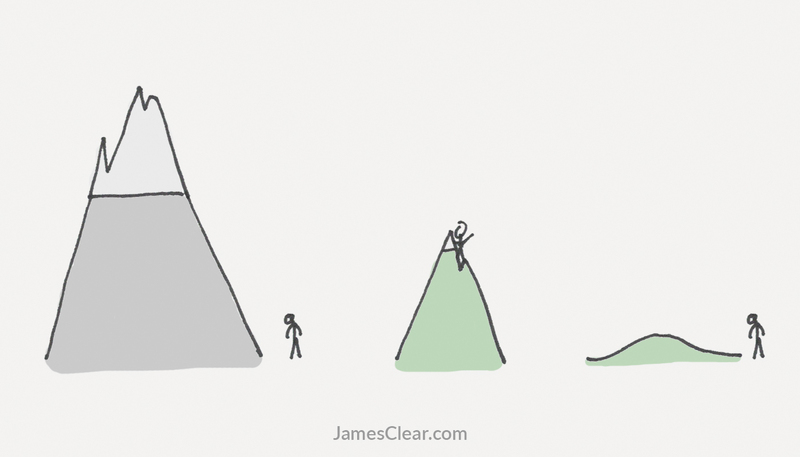 In many ways, we could describe flow as your state of peak motivation. You would be hard-pressed to find a state where you are more driven to continue the task you are working on. Thus, we can say that measurement is a key factor in motivation. To put it more precisely, facing an optimal challenge and receiving immediate feedback about the progress you are making toward that challenge are two of the most critical components of peak motivation. For more on the importance of measurement and feedback, check out this article: What Are You Measuring in Your Life? 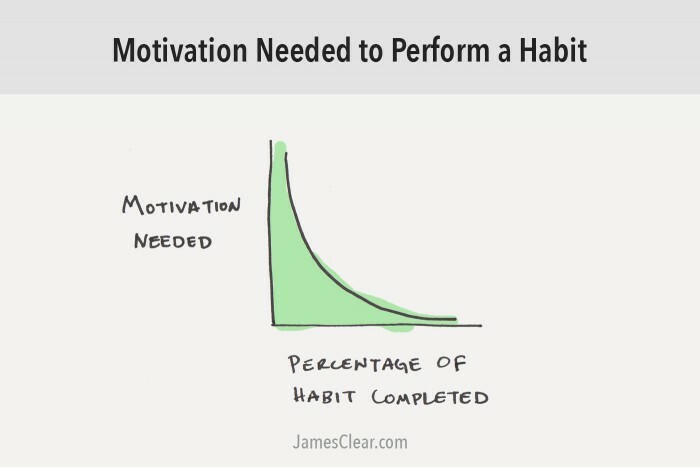 Inevitably, your motivation to perform a task will dip at some point. What happens when motivation fades? I don’t claim to have all the answers, but here’s what I try to remind myself of when I feel like giving up. Consider every thought you have as a suggestion, not an order. Right now, as I’m writing this, my mind is suggesting that I feel tired. It is suggesting that I give up. It is suggesting that I take an easier path. If I pause for a moment, however, I can discover new suggestions. My mind is also suggesting that I will feel very good about accomplishing this work once it is done. It is suggesting that I will respect the identity I am building when I stick to the schedule. It is suggesting that I have the ability to finish this task, even when I don’t feel like. Remember, none of these suggestions are orders. They are merely options. I have the power to choose which option I follow. Relative to the time in your normal day or week, nearly any habit you perform is over quickly. Your workout will be finished in an hour or two. Your report will be typed to completion by tomorrow morning. Life is easier now than it has ever been. 300 years ago, if you didn’t kill your own food and build your own house, you would die. Today, we whine about forgetting our iPhone charger. Maintain perspective. Your life is good and your discomfort is temporary. Step into this moment of discomfort and let it strengthen you. Theodore Roosevelt famously said, “Far and away the best prize that life has to offer is the chance to work hard at work worth doing.” So often it seems that we want to work easily at work worth doing. We want our work to be helpful and respected, but we do not want to struggle through our work. We want our stomachs to be flat and our arms to be strong, but we do not want to grind through another workout. We want the final result, but not the failed attempts that precede it. We want the gold, but not the grind. Anyone can want a gold medal. Few people want to train like an Olympian. And yet, despite our resistance to it, I have never found myself feeling worse after the hard work was done. There have been days when it was damn hard to start, but it was always worth finishing. Sometimes, the simple act of showing up and having the courage to do the work, even in an average manner, is a victory worth celebrating. Life is a constant balance between giving into the ease of distraction or overcoming the pain of discipline. It is not an exaggeration to say that our lives and our identities are defined in this delicate balance. What is life, if not the sum of a hundred thousand daily battles and tiny decisions to either gut it out or give it up? This moment when you don’t feel like doing the work? This is not a moment to be thrown away. This is not a dress rehearsal. This moment is your life as much as any other moment. Spend it in a way that will make you proud. I hope you found this short guide on motivation useful. If you’re looking for more ideas on how to get motivated and stay that way, then check out my full list of motivation articles below. This is a complete list of articles I have written on motivation. Enjoy! Looking for even more? Check out these articles on topics that are closely related to motivation.